My summer of reading was an odd assortment. 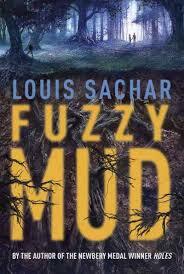 I started with Louis Sachar’s Fuzzy Mud. Not a bad read at all. A story of a bully, the bullied, and a girl in the middle all wrapped up in a scientific mystery of what’s really out there in the woods. I thought the suspense was great. While not as magical as Holes (what is? ), the story was great for writers wanting to see how to build character and suspense. 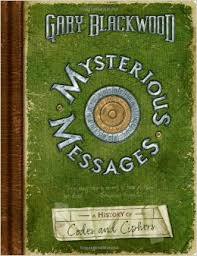 Next on my list was a non-fiction title, Mysterious Messages. Both kids and adults will love this book and its magnificent illustrations. From coding systems to coding machines, this book offers a concise and fascinating look into the complex world of espionage and how codes and cyphers have been used throughout the ages. 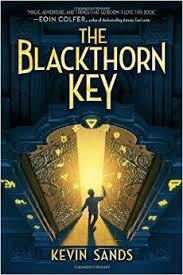 My final book was an MG historical The Blackthorn Key. This book was awesome. Wonderfully steeped in 1600s England, this book is full of intrigue, suspense, and science. Like many other readers, I enjoyed the puzzles the character must solve to unravel the final mystery. One thing I noted was the humor–or lack there of. The tone isn’t whimsical or silly like many MG books. This book carries a strong story, with young but mature characters dealing with issues that most MG readers can identify with (family and belonging). I even wonder if this could be a sign of things to come with more true upper-middle-grade books. Regardless, I highly recommend it. While there were other books, I reported on these as they were “purpose” reads–all selected because of a writing project I’m working on, mentor texts so to speak. Hopefully, with more hard work and editing, the project I’m working on will make its way to print. If so, the books above will have been more than just amazing reads.